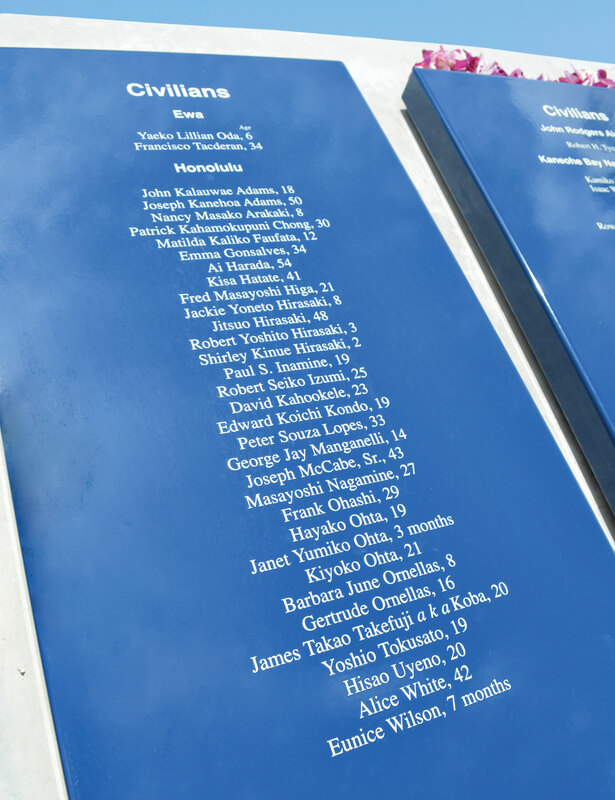 In the historical narrative of Dec. 7, 1941, a lesser known story is the 49 civilians who lost their lives. Kisa Hatate was one of those civilian casualties, and she is included in the list of names engraved upon the blue commemorative plaques at Remembrance Circle at World War II Valor in the Pacific National Monument. According to the 1920 census, Kisa, her younger brother Toraichi and her father were all employed at the pineapple cannery in Haiku Village on Maui. Kisa and her father were laborers, while her brother worked as a timekeeper. Rie stayed at home with the seven youngest children, four boys and three girls.2 Among the girls was Ruth, who was Kisa’s daughter but was being raised as one of her sisters. By 1930, Kisa had moved to Honolulu and had married Tsuruaki Hatate, a grocery store manager originally from Japan. They lived on North School Street.3 The couple had three children: Raymond (born 1931), Richard (born 1933) and Elinor (born 1935). A couple of years prior to the war, Tsuruaki died from tuberculosis. The story of what happened to Kisa Hatate on Dec. 7, 1941 is passed on through oral stories recounted by family members, down through the generations. Historic photo from Dec. 7, 1941 shows the destruction at King and McCully streets. Photo courtesy of the Honolulu Star-Advertiser. It was while Kisa was out on the street that she was hit by a piece of shrapnel. Ruth and Paul Horimoto drove her to nearby Lunalilo School, which served as a first aid center during the attack. 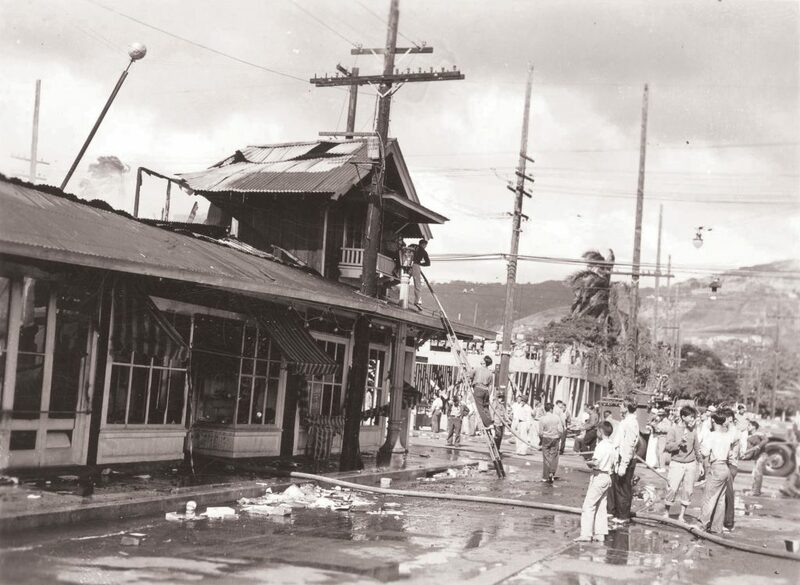 At Lunalilo School was a young Red Cross volunteer named Daniel Inouye, who would later go on to enlist in the Army, earn the Medal of Honor and serve as a U.S. senator. 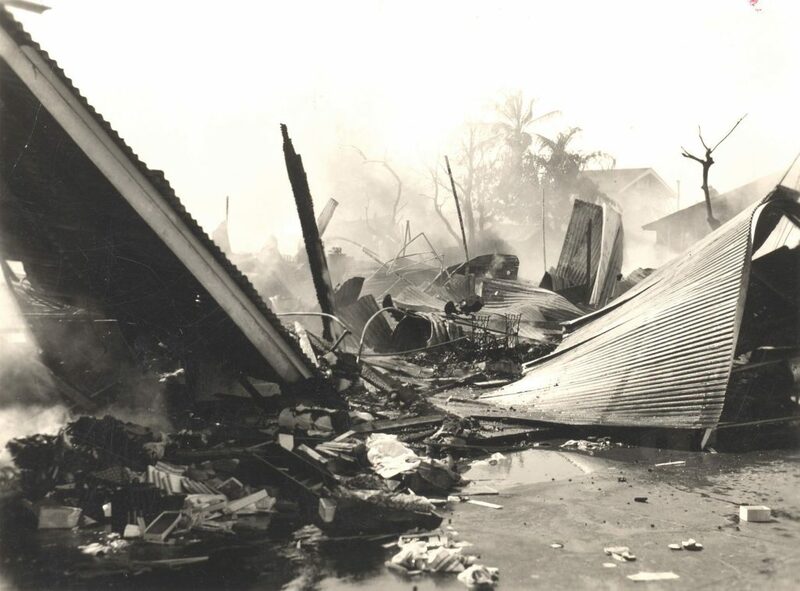 Thirty minutes after the McCully fire was reported, the Lunalilo School roof burst into flames, and first aid personnel were forced to treat 18 casualties under coconut trees.8 Kisa did not die right away; she was still conscious and talking when she was taken in. A doctor removed a piece of the shrapnel and asked the family if they wanted to keep it. The Horimotos said no. The shrapnel was placed in a bottle and lined up next to other bottles containing similar evidence collected from other patients. Kisa died later that day due to blood loss. After Kisa’s death, her three children were separated, and each child was sent to live with a different family member for some time. Seeing how unhappy the children were, the Horimotos eventually decided to take in the three children themselves. Many of Kisa’s descendants still live on Oahu: her son Raymond and daughter Elinor as well as a multitude of grandchildren, great grandchildren and great great grandchildren. Her son Richard Hatate lives in California, and her daughter Ruth Horimoto passed away in 2008. 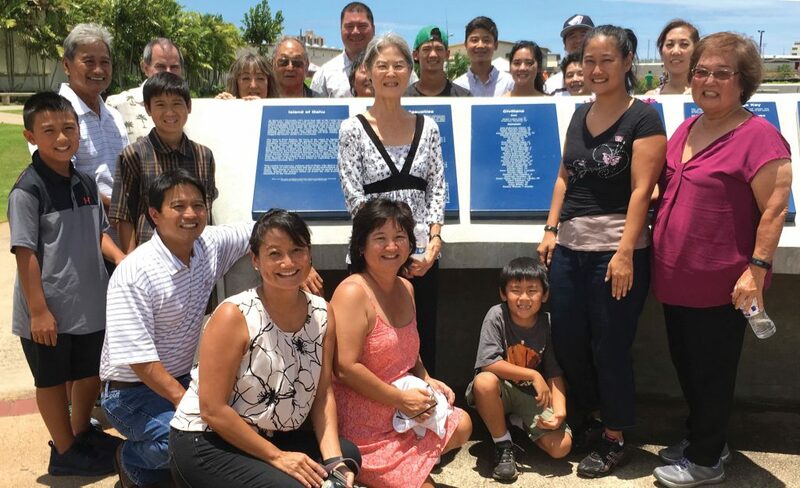 Kisa Hatate’s descendants gathered at Remembrance Circle, front row, kneeling, from left: Chet Taira, Channe Lake, Celia Phillips, Christian Cruz; second row: CJ Taira, Devn Lake, Beryle Ishizaki, Celyn Cruz, Jeanne Sato; third row: Chester Taira, David Matlin, Shirleen Horimoto, Kenneth Horimoto, Brandon Lake, Cheryl Taira, Cole Phillips, Adam Lake, Cara Phillips, Cade Phillips, Gary Phillips and Dana Matlin.